Welcome to All Heart Home Care formerly known as Adult Home Health Care. We are an award winning San Diego home care agency noteworthy, our agency received the Best of Home Care award from Senior Advisors 3 years in a row (2017, 2018, and 2019). All Heart Home Care is also VETERAN OWNED and a licensed agency by the state of California. We are the most trusted home care provider for senior home care services, as a result we have helped hundreds of families within the Greater San Diego, CA area. All Heart provides quality senior home care assistance to the Greater San Diego area. We base our senior home care San Diego services on family values, also we exemplify principals of respect, integrity, and transparency. All Heart Home Care is a professional and compassionate home care agency above all, we respect our client’s dignity and their desire for independence. We listen to what our senior client’s desires and factor in their requests for home care. Our agency only hires talented, experienced, and trustworthy caregivers as a result, seniors and adults live their life much happier in their own home using our services. Also, we can help you regardless of the health conditions you are dealing with. All Heart Home Care customers will receive a customized care plan and an All Heart’s Care Journal. Our customized care plan and journal ensures that we meet the home care needs for our senior clients. You can TRUST and RELY on All Heart Home Care of San Diego to provide you with quality in-home caregivers. Learn more about the All Heart Home Care Difference. All Heart Home Care serves all San Diego County. San Diego regions include: North, Central, East, and South counties. North County: Carlsbad, Del Mar, Encinitas, Escondido, Poway, Rancho Bernardo, Rancho Santa Fe, San Marcos, Scripps Ranch, Solana Beach, and Vista. Central County: Clairemont Mesa, Coronado, La Jolla, Pacific Beach, Point Loma, and San Diego. East County: Alpine, El Cajon, Lakeside, La Mesa, Ramona, Rancho San Diego, and Santee. South County: Chula Vista and Otay Ranch. All Heart Home Care of San Diego provides seniors with flexibility for in-home care services. Many San Diego home care agencies requires clients to sign up for a 4-hour shift. All Heart Home Care has no hourly minimums and no long-term contracts! Our experienced caregivers are available for as little as 30 minutes per day. We provide long-term care or respite home care. Respite home care is also known as temporary home care assistance. Our affordable hourly rates are very competitive compared to other San Diego home care agencies. We RATE MATCH other licensed San Diego home care agencies! Call today to receive your custom HOURLY rate. Our agency specializes in providing 24-hour home care assistance. Many seniors live with health conditions and struggle with their daily tasks. We can improve the quality of their life at home with helping seniors in their daily tasks. Our professional team of San Diego caregivers can provide assistance with around-the-clock care. We offer the flexibility of either 3 – 8 hour shifts or 2 – 12-hour shifts. All Heart discounts our 24-hour daily rate with no overtime fees! Rest easy having the peace of mind with 24-hour home care for loved one. Call today to receive your custom 24 HOUR rate. We can provide Live-in home care assistance. Live-in home care services may be a more cost effective option compared to 24-hour home care. It offers the benefit of fewer caregivers with having 1 caregiver stay for multiple days. The following 2 rules must apply for Live-in home care services in San Diego. Caregiver must have a separate bedroom and storage space for their belongings. The Live-in caregiver must have 8 hours of uninterrupted sleep time. If you need home care assistance at night you may want to choose 24-hour home care. Call today to receive your custom LIVE-IN rate. We provide seniors with home care assistance to help with various activities of daily living. Our caregivers can help you with laundry and light housekeeping. Do you struggle with personal care? Our caregivers can assist with bathing, hygiene, and incontinence care. Need help with transportation? They’ll drive you to your doctor appointments, errands, grocery shopping, and prepare your favorite meals. All Heart can also help with safety and fall prevention. They can assist you with ambulation, re-positioning, exercises, and range of motion. Do you forget to take your medications? Our caregivers will remind you and lastly provide companionship. All Heart Home Care of San Diego provides recovery home care assistance. It is ideal for helping seniors recover after an injury, hospital stay or serious illness. Our in-home caregivers can help seniors with bathing, managing medications, and following the doctor’s home care instructions. All Heart caregivers have the skills and experience to help you with your home care recovery. Our recovery home care service reduces the danger of re-hospitalization after an illness. It also makes the recovery process much easier. If you are recovering from cancer, a stroke or from an illness, call All Heart Home Care of San Diego today. We are here for you! We only hire caring and highly skilled caregivers. They receive training to care for clients with Alzheimer’s disease or dementia. Our caregivers provide a safe and secure home environment. They use redirection, structure, and continuity. This prevents clients with dementia or Alzheimer’s from becoming anxious or confused. Studies in developing cognitive reserve has shown to slow down the progression of Alzheimer’s and dementia. Our caregivers use activity tools for build the senior’s cognitive reserve. Engaging their brain with activities such as conversation, reminiscing, art and music therapy. To learn more call All Heart Home Care. All Heart Home Care caregivers have the training necessary to help seniors live at home with Parkinson’s disease symptoms. We can help clients with many different daily activities such as: getting dressed, taking medications, grooming, bathing, ambulating, outings, meal prep, eating, and housekeeping. All Heart caregivers will ensure the home environment is clean, safe, and feels comfortable for seniors. They can also help seniors perform errands and assistance with transportation services. Our Caregivers are here to help clients with Parkinson’s in their daily challenges to make life happier and easier at home. All Heart Home Care of San Diego provides non-medical hospice home care assistance. We work in conjunction with your chosen hospice agency. Our caregivers provide our hospice clients comforting care. We provide support with bathing, eating, incontinence care, cleaning the home, and laundry. Caregivers can also re-position the client in their bed, update the family, and more. Our San Diego caregivers will ensure around-the-clock comfort care. We can provide 24-hour home care support. Let All Heart Home Care make the end of life passage easier. We can help the entire family during this challenging time. We only hire qualified Caregivers and also Certified Nursing Assistants & Home Health Aides. Our Case Managers are Nurses. Our San Diego Caregivers register with the California Department of Social Services. We adhere to all CA home care regulatory standards. These standards include a background check by the Department of Justice & the FBI. Furthermore, caregivers must receive a TB check & mandatory caregiver training. All Heart Home Care follows all state & local home care rules & regulations. Caregivers are 100% insured which includes a surety bond, automobile, workers’ compensation & professional liability. All Heart Home Care promotes client health and well-being. Our complete home care solution will enhance the quality of life for seniors. We provide award winning San Diego home care delivered by highly-skilled caregivers most noteworthy, All Heart Home Care is the recipient of the “Best of Home Care” award by Senior Advisors for years 2017 and 2018. Our agency can provide many client testimonials, which reflect our outstanding senior services. We provide a complete home care solution which includes senior home care assistance and sales of home care equipment. To ensure you receive the best personalized home care we provide an All Heart Home Care Journal. Our caregivers receive in-house training from our certified nurses. We understand that personality is the key in creating a successful caregiver and client relationship. All Heart can accommodate a caregiver and client meeting before the start of home care services, as a result this ensures that each client is 100% satisfied with our selection. All Heart Home Care is a Veteran & locally owned senior home care agency. Eric formerly served in the United States Air Force (USAF). Now with dedication & compassion he aids seniors & fellow Veterans in receiving the best home care services. He hires the most trusted caregivers in the Greater San Diego area. To our fellow Veterans we thank you for your service. For quality senior home care, call All Heart! Veterans and their surviving spouses may be eligible for a VA Pension of over $2,169 per month. This pension program helps lower income veterans cover the costs of senior home care. The Aid and Attendance benefit has income eligibility requirements. The VA has set what home care assistance parameters are for activities of daily living which includes assistance with eating, bathing, dressing and medication management. 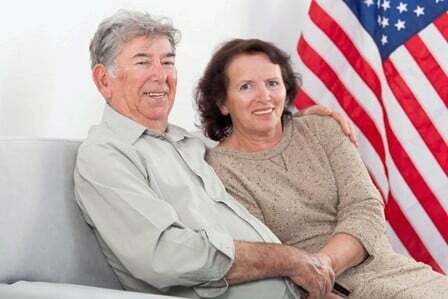 The Aid and Attendance benefit is often referred to by other names such as “improved pension”, “VA assisted living benefit” or “Veterans elder care benefits”. These are various names are for the same program, which is an additional benefit added to the basic VA pension. Please call All Heart Home Care to see if you qualify for this benefit. We are here to assist you. We assist seniors in understanding & verifying their Long-Term Care Insurance (LTCI) policy. An All Heart team member will guide you through the process of filing a claim. We have relationships with several LTCI companies & have experience processing claims. All Heart can arrange a conference call with you & your carrier. During the call we will identify the requirements of your policy. This will include learning the elimination periods, daily maximums, lifetime benefits, & coverage. We can also assist in completing the claim forms & even bill the LTCI carrier directly, at your request. All Heart will coordinate & deliver quality home care services finally, giving you peace of mind knowing you are receiving the care you deserve. Please call us today & speak with one of our team members for a FREE benefits analysis.